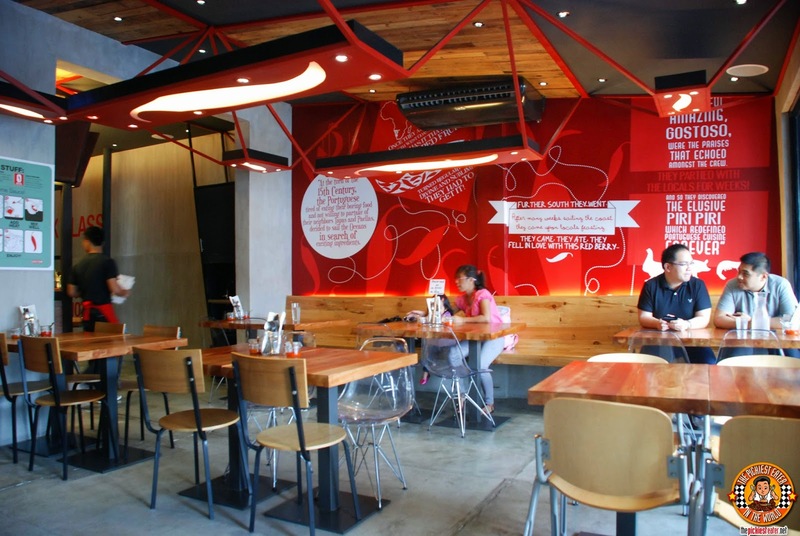 Gostoso is among the latest restaurants that has made a home in Pasig's famous Kapitolyo strip, further stamping the area as the hottest foodie haven in the metro. 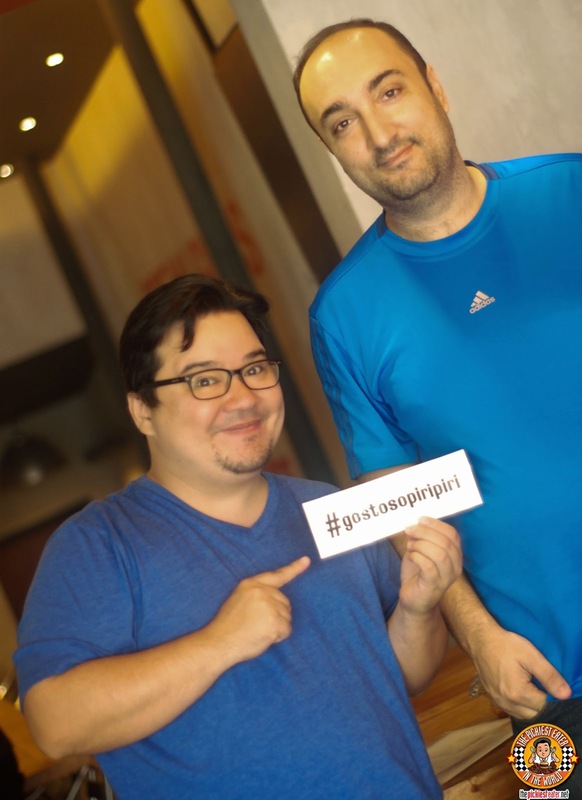 The menu was concocted by owner Joao Braquinho, a Portuguese National that has made the Philippines his home for the past few years. Using recipes that he grew up with while living in Portugal, Joao created Gostoso with the intention of bringing the authentic, vibrant flavors of his homeland to our shores. 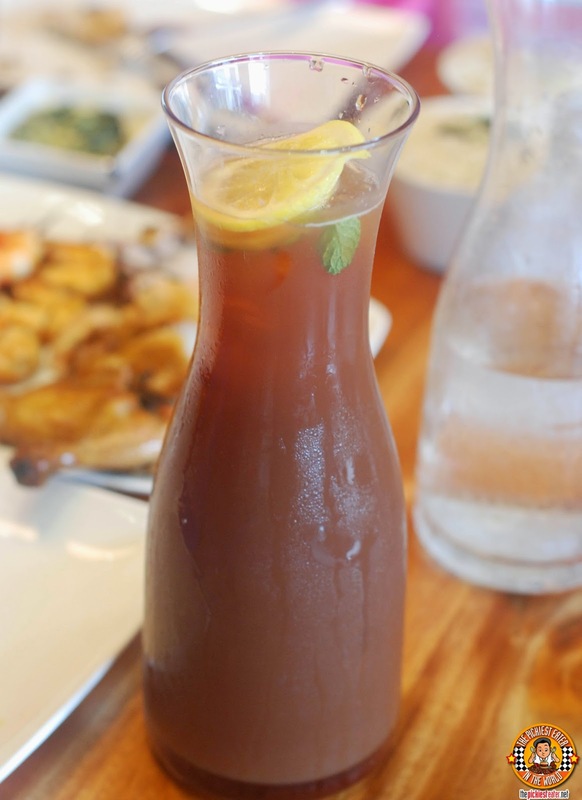 I suggest you get the Gostoso De Tea (P80 Glass/P190 Carafe), as it is remarkably refreshing with its fusion of lemon and touches of peppermint. Something I learned about Gostoso Piri Piri Chicken, was that they don't make "Spicy" the default setting for their dishes. I remember eating at a Piri Piri place a couple of years back, and that was the last time I ever did. The level of heat on what was supposed to be a "mild" dish was so spicy, that I must have finished a gallon of water, leaving me so full, I couldn't eat anymore after the second bite. 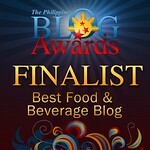 I know I should have known better, considering that "Piri Piri" is "Siling Labuyo" in Portuguese. 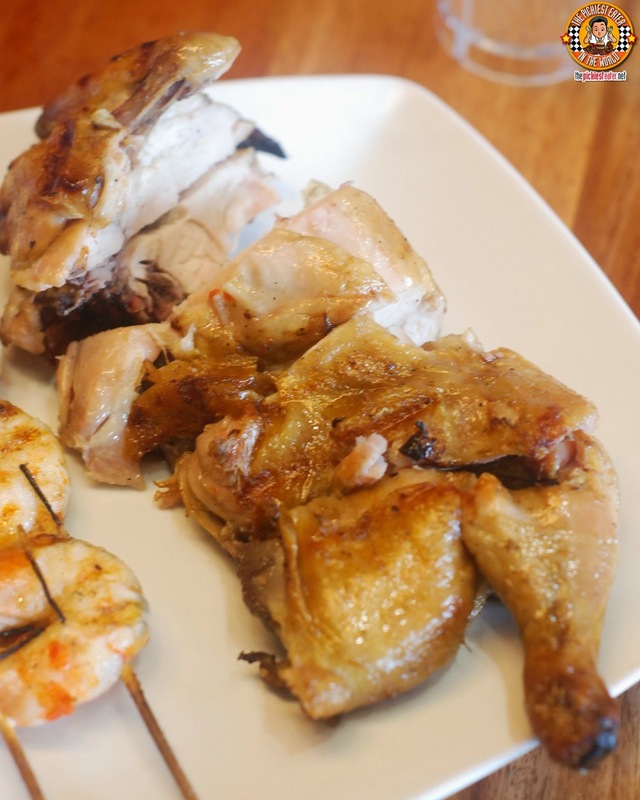 But Gostoso changes things up by creating dishes that are devoid of the usual innate spiciness that "Piri Piri" dishes are synonymous with, without losing the potency of flavor. You are given two sauces - The first being a "Starter Sauce", made with chilis, yet without the heat. The sauce instead gives an "enhancement" to the meats that you use it on. 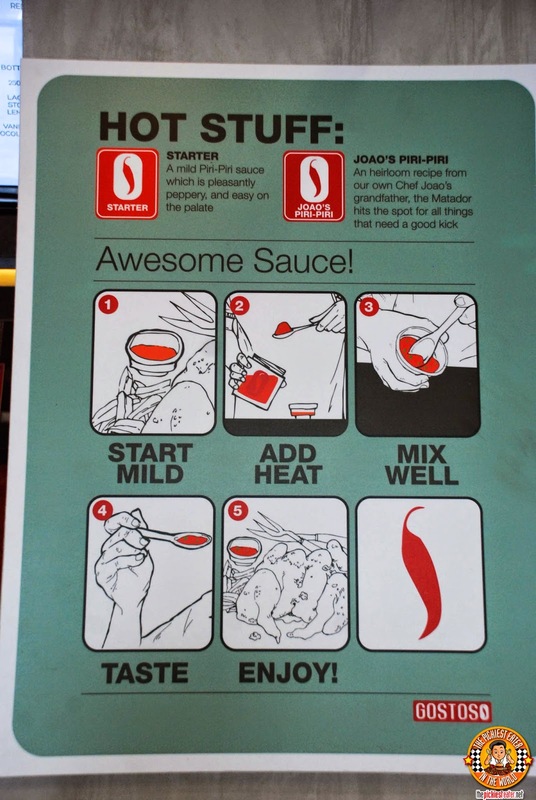 The Second Sauce... Joao's "Piri Piri" is where you will find the spiciness you may be looking for. 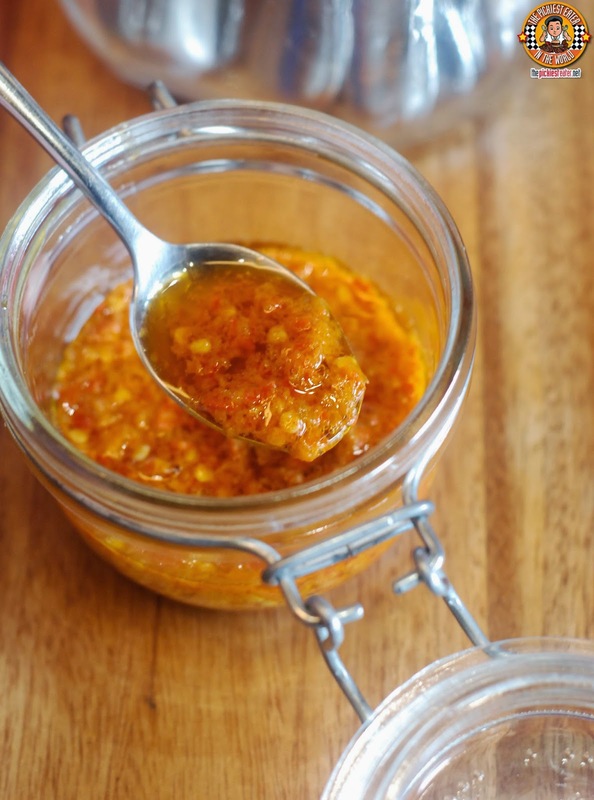 Separating the "Starter" from the Joao's "Piri Piri" gives Gostoso's customers the flexibility to customize the level of heat to their liking, ensuring a more personable experience to their meal. We began our meal with Gostoso's Coxinha (P150) which is a popular street food in Portugal. 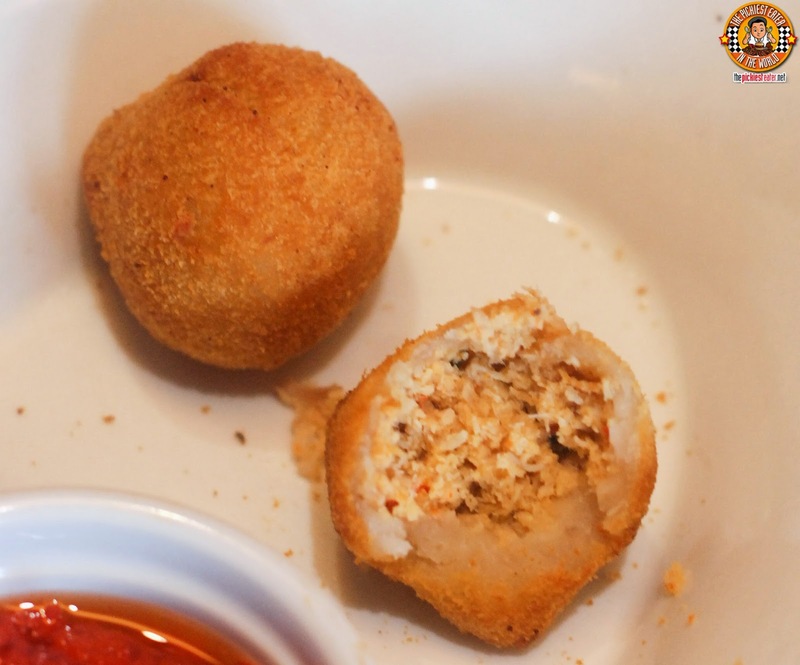 Egg shaped balls are filled with a tasty mixture of shredded chicken meat, diced bell peppers and a bit of cream, that gives the dish a touch of richness. 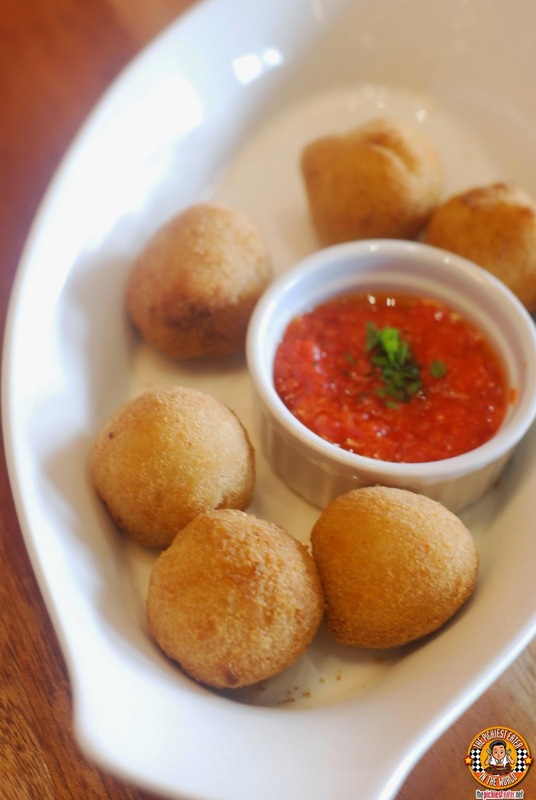 The balls are then deep fried, with the exterior in a light bread coating, and cooked to a nice golden brown. The Bolsas (P150), are Gostoso's version of mini Emapanadas. 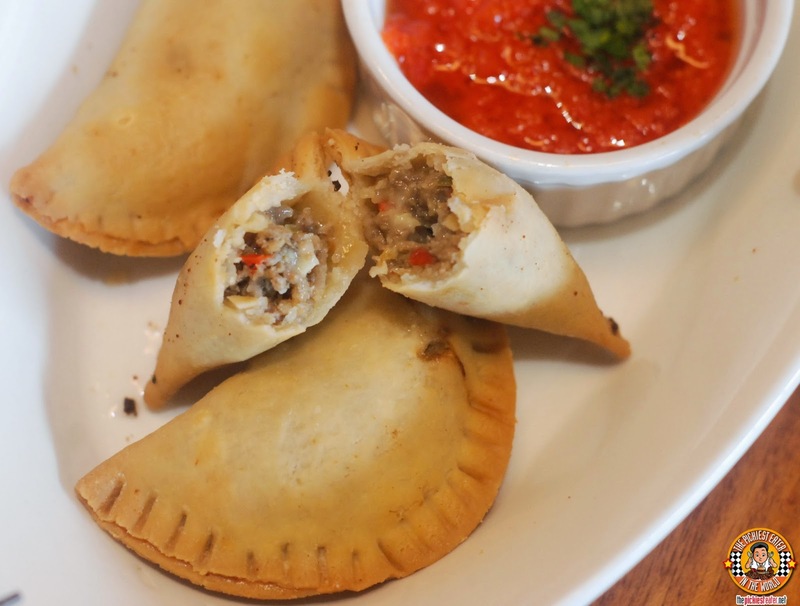 The little "hot pockets" are filled with flavorful minced meat. The crust wasn't as flakey as I would have preferred, but on the whole, stay a very delicious way to start your meal. 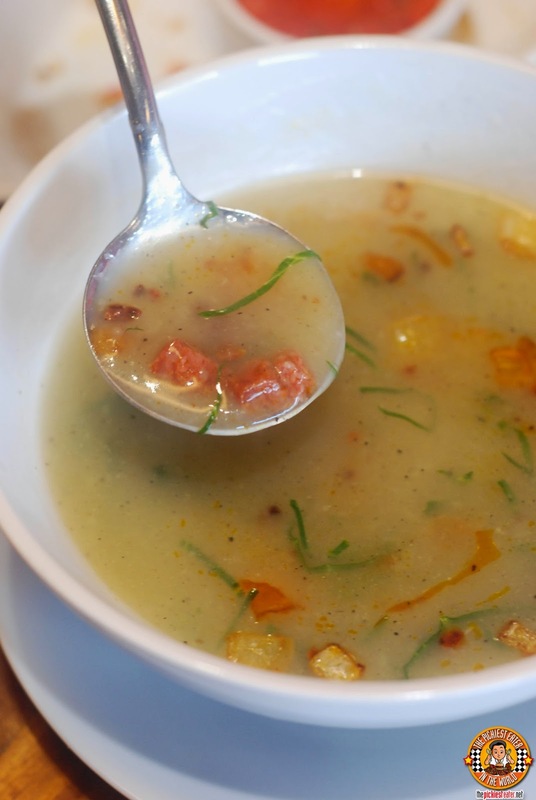 The Caldo Verde (P125) is a hearty soup, that features a rustic mix of Potatoes, Kale and Chorizos. The pronounced flavor of Chorizo shines on this thick soup, making eating it with rice, not outside the realm of possibility (ask Rina). 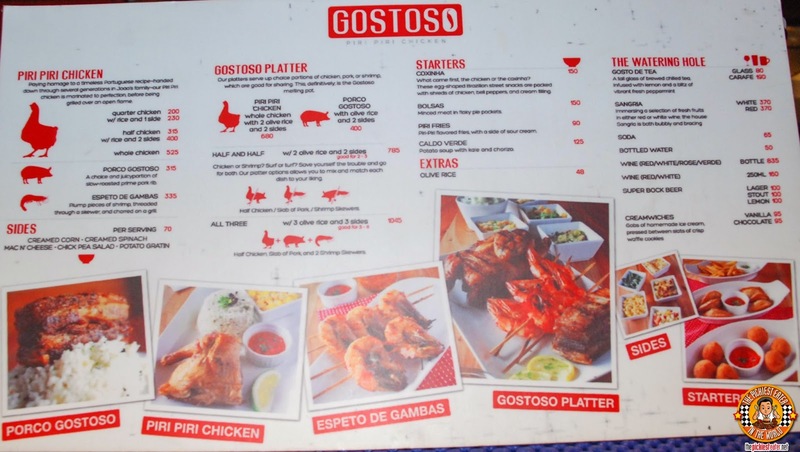 Gostoso's Menu is relatively simple. 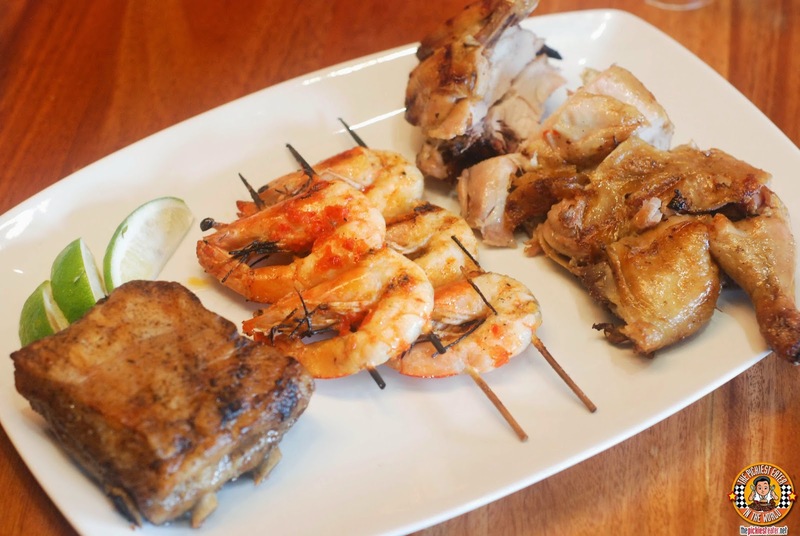 You choose between three proteins: Pork, Shrimp, and of course, Chicken. From there, you proceed to mix and match the selection of side orders that you feel would best go with your plate. Though you only have three choices, your biggest problem will be which protein to select, simply because all three choices seem so mouthwatering, and you gut will tell you that you want to order them all. Thankfully, Gostoso anticipated this would happen, and it prepared a Gostoso Platter, featuring all three of the dishes that you may order. The Piri Piri Chicken is really quite wonderful. I'm so glad that Gostoso came up with a more taste bud friendly version, because it would be a shame if I could only eat this in moderation because it was too spicy. Instead, I could probably eat an entire chicken all by my lonesome. I have a strong dislike for the (Chicken) Breast part because it tends to get a bit dry for me, but the cook on this was so good, that I couldn't differentiate the juiciness between the dark and white meat. Rina attacked the Espeto de Gambas with reckless abandon. 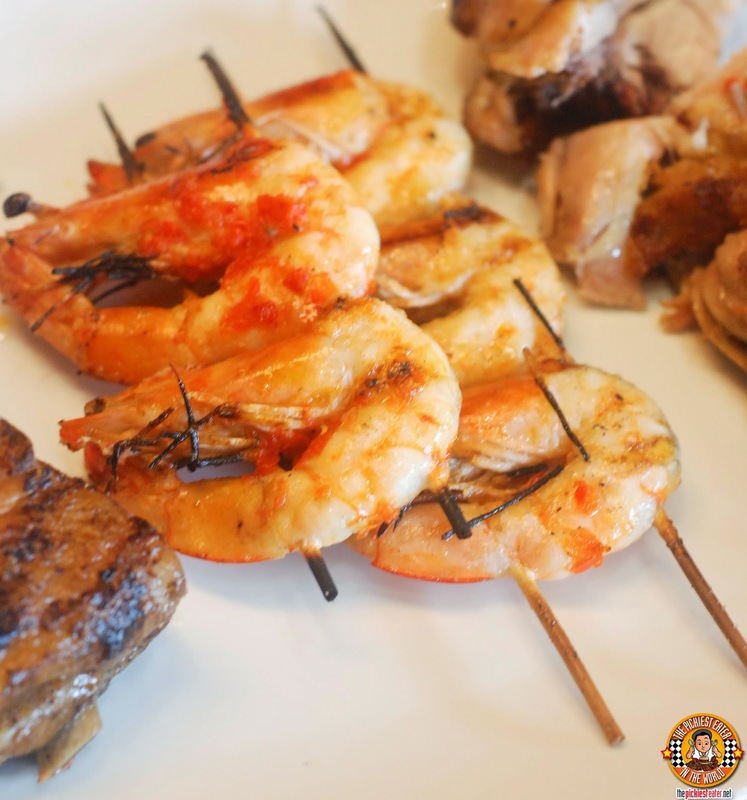 The pieces of skewered Shrimp were quite fat and juicy, and you can see practically every each of it was peppered in a flavorful rub before being slapped on to the grill. I fell in love with the Porco Gostoso. The slow cooked slab of Pork Rub practically fell apart upon the touch of my fork. A simple tug removed the bone from the meat with barely any resistance. 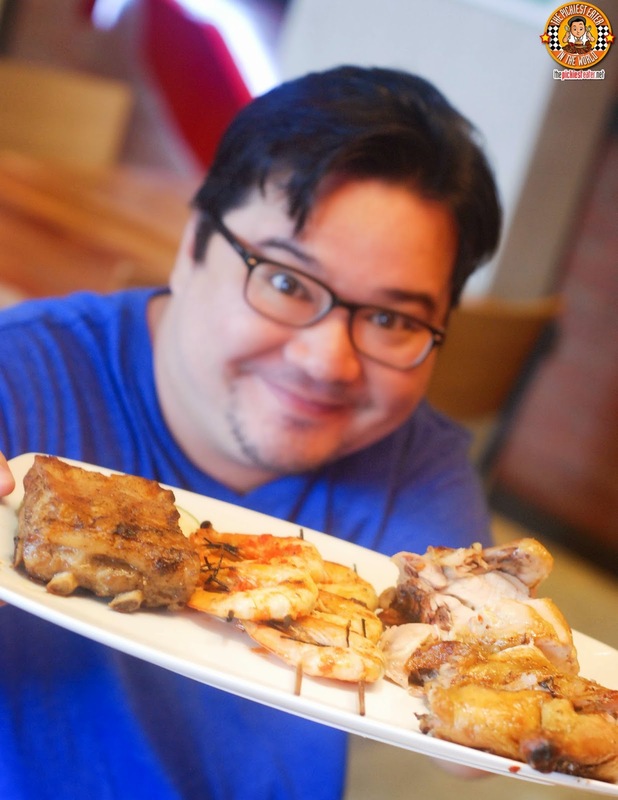 The medley of flavorful herbs that imbibed itself unto the pork meat playfully danced on my taste buds as I took my first bite, with the lining of fat virtually melting in my mouth. Piri Piri Chicken may be Gostoso's claim to fame, but I firmly believe that their Porco Gostoso is their secret weapon. 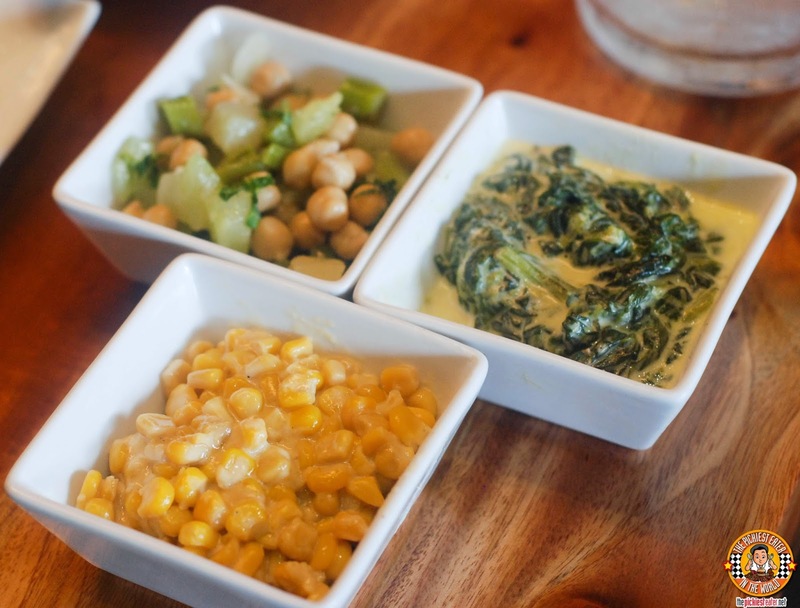 Among the side orders you may choose from are the Chickpea Salad, Creamed Spinach and Creamed Corn. Let me save you some time right now.. The Creamed Corn is mindblowingly-good. 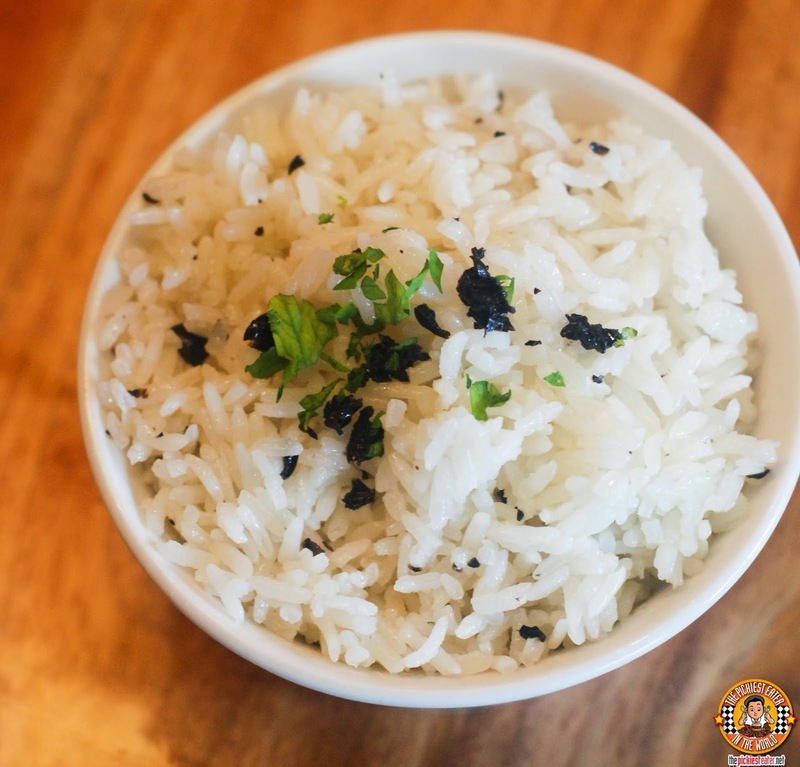 All meals are best enjoyed with Gostoso's Olive Rice, whose touches of flavor offers something a little different from the usual. 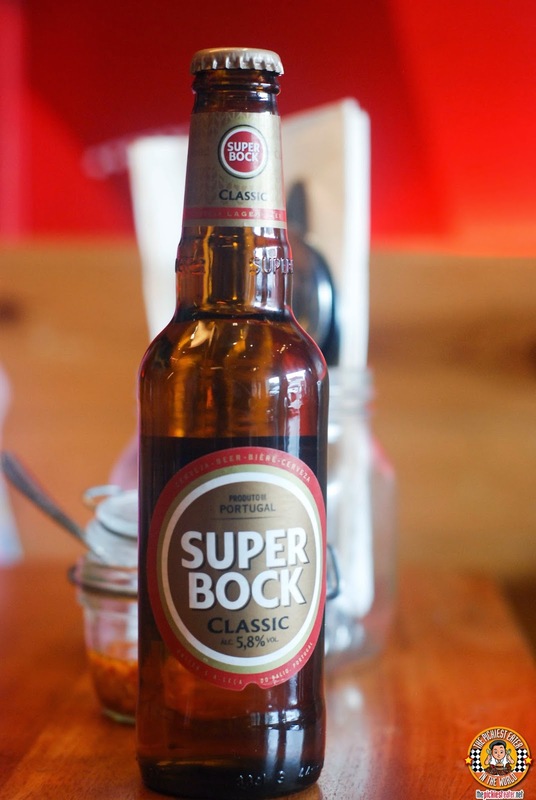 More than just a dining spot, Gostoso offers you a comforting place to unwind, as it also features a selection of beers and wines, including the popular "Super Bock" (not to be mistaken with the classic children's cartoon hehe). 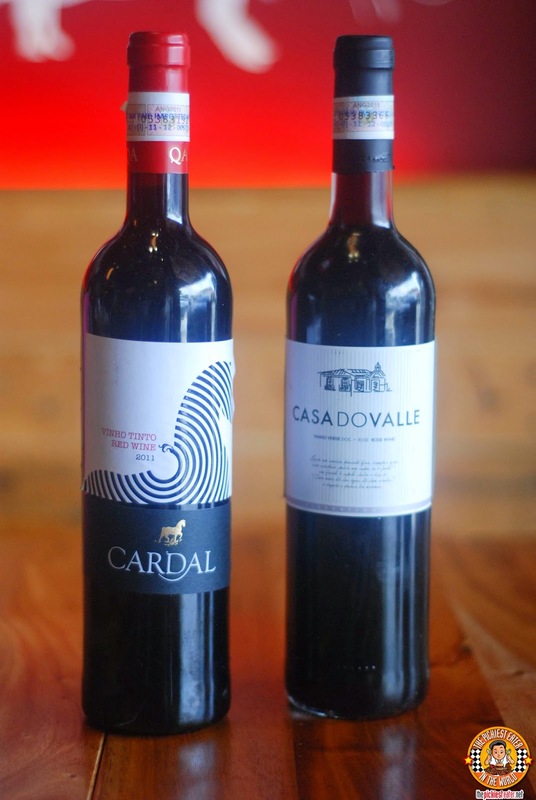 Although the ambiance doesn't exactly scream "wine", it's nice to know that it's readily available should you decide to have one for the road. It was an absolute pleasure dining in Gostoso, and even more so meeting the man behind the establishment himself, Mr. Joao Braquinho in person! His stories about his long Journey from around the world, to our shores was really very interesting! Rina and I are most definitely looking forward togoing back to Gostoso soon, as well as keeping a watchful eye on the the future ventures of Mr. Branquinho! Quake.. your taste buds are something else haha! I couldn't take two spoonfuls hehe..
Yeah, I think price-wise, it would be nicer if they could reduce it a little bit. Been here, got the half-half pork/chicken. 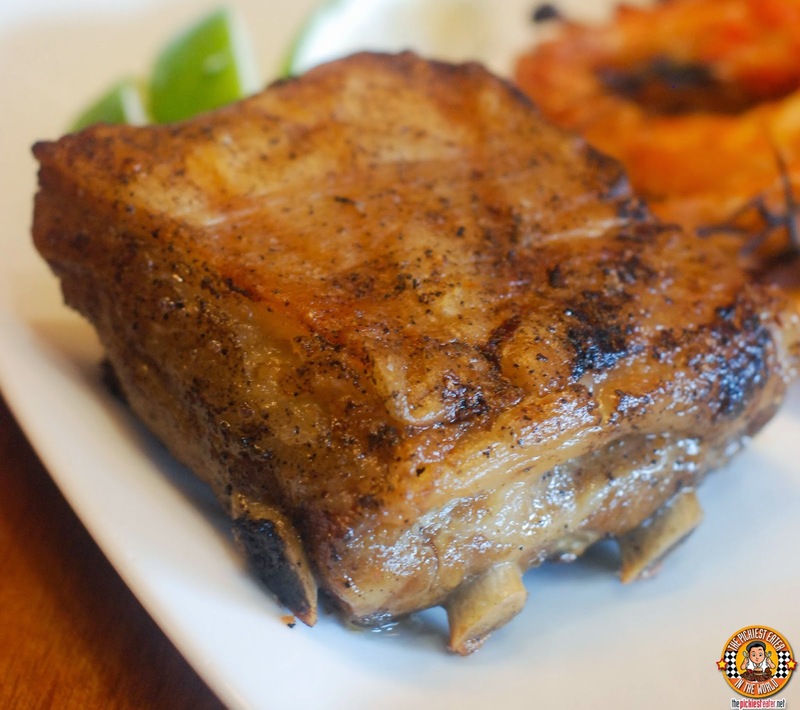 The pork was beautifully cooked, very smokey, flavorful and tender. The chicken was a bit dry and emaciated. I agree with quake, the "spicy" sauce wasn't spicy AT ALL. Not what you'd expect from a piri-piri place. I'm a weakling when it comes to heat so I thought it was just fine.. maybe it's phychological hehe.. The chicken was good during my visit.. thankfully Joao was there. I think they need to make sure they are consistent even without Joao.